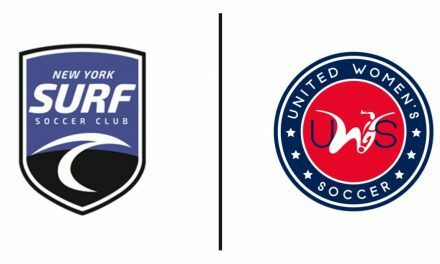 The New York Magic is putting the finishing touches to its preseason preparation as it will kick off the United Women’s Soccer season on the road again. 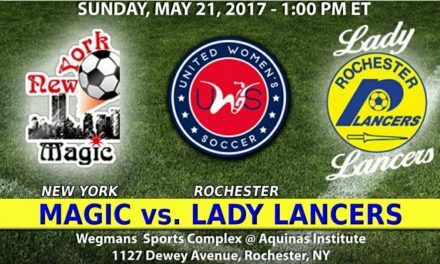 The second-year UWS squad will play the Rochester Lady Lancers at Wegman’s Sports Stadium at Aquinas Institute in Rochester, N.Y. with a 1 p.m. kickoff Sunday. 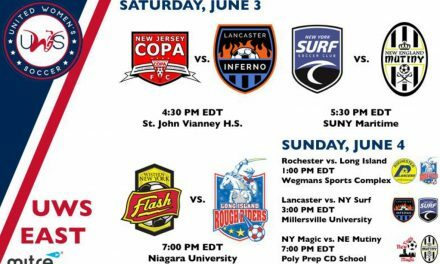 After a difficult 2016 inaugural season, Magic head coach Nino DePasquali has rebuilt the team, balancing the side with experienced veterans and some youth as well. Mami Yamaguchi, the 2007 Missouri Athletic Club Hermann Trophy winner from Florida State University who is expected to bring some spark to the attack. A native of Tokyo, Japan, Yamaguchi helped the Seminoles capture the NCAA Division I women’s championship for the 1st time in school history. 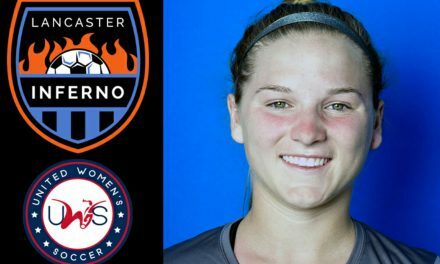 She set records as the Atlantic Coast Conference offensive player of the year while earning first team All-American honors. Yamaguchi became the first player in FSU soccer history to have her jersey retired. She made 18 appearances for the Japanese national team scoring eight goals. At the other end of the field, Canadian goalkeeper Sierra Bonham joins the Magic from North Dakota State University as the two-time Summit League goalkeeper of the year and All-Summit League first team for two consecutive seasons (2014-2015). Kristina Hristic, who earned the 2016 UWS Iron Woman of the Year honors, is back to anchor the backline.